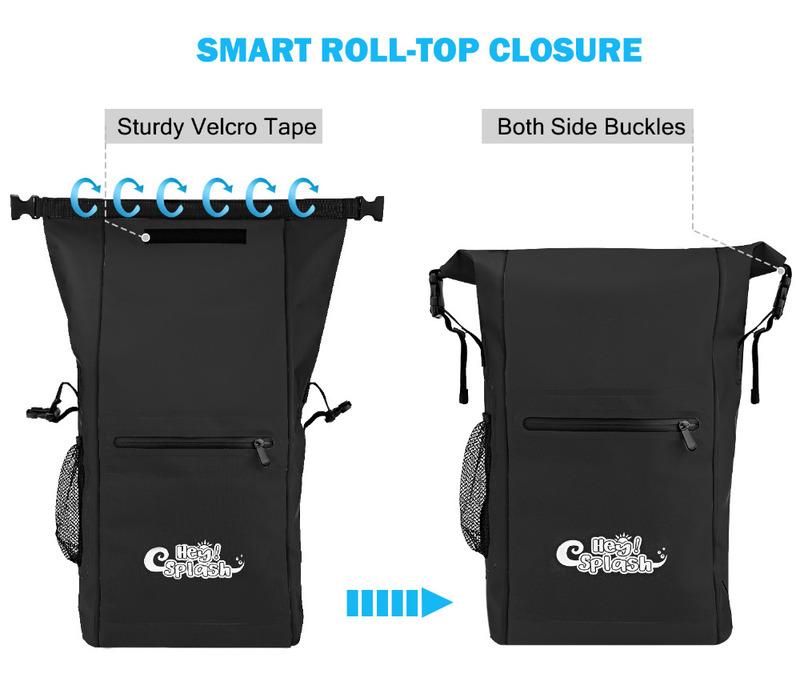 WATERPROOF FOLD-SEAL SYSTEM - Roll top, and the hook and loop closure plus buckle closure is sure to protect your treasures against liquid, snow, mud and sand. 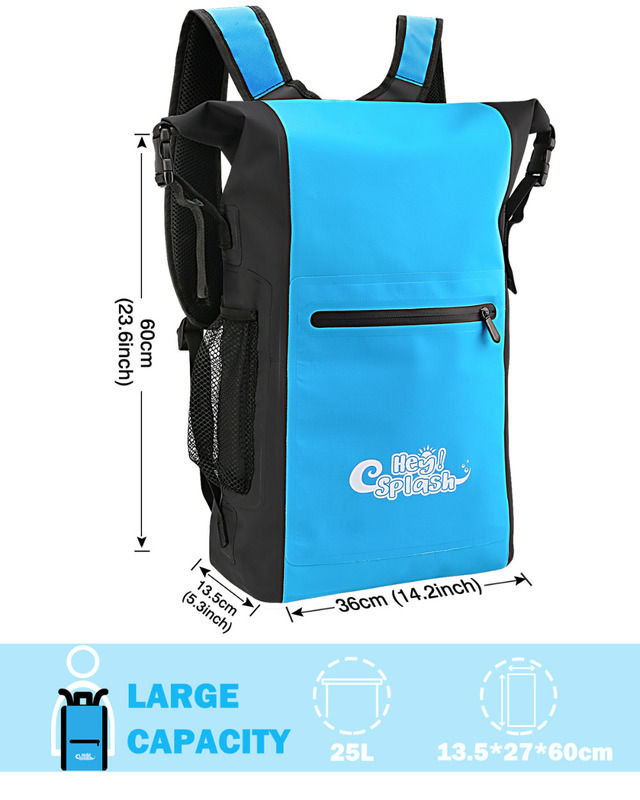 LARGE CAPACITY - 25L capacity is large enough to take along everything you need for a trip. 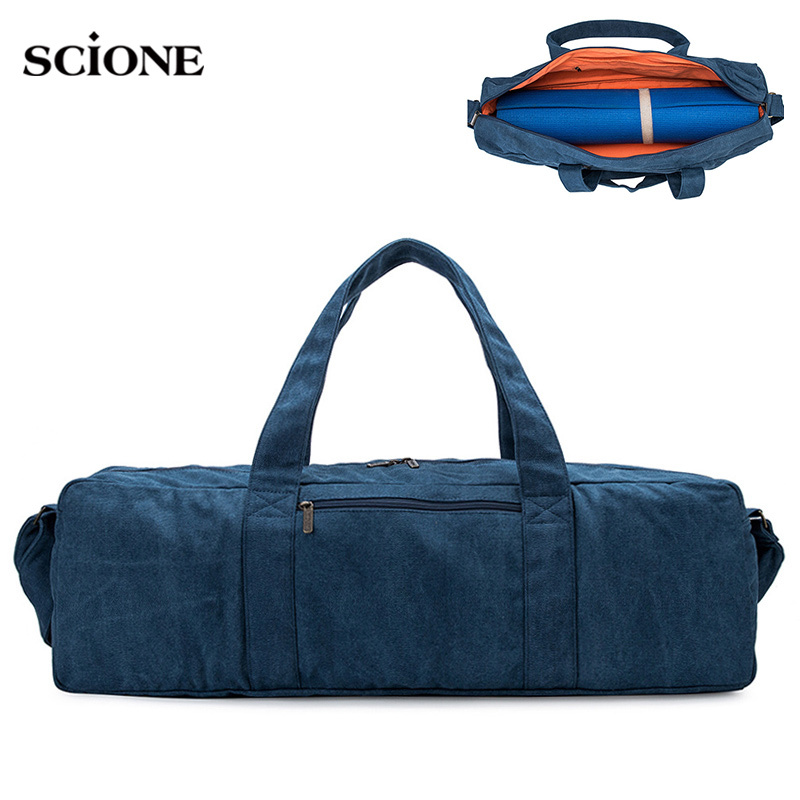 Without being a bulky or hassling luggage to carry. 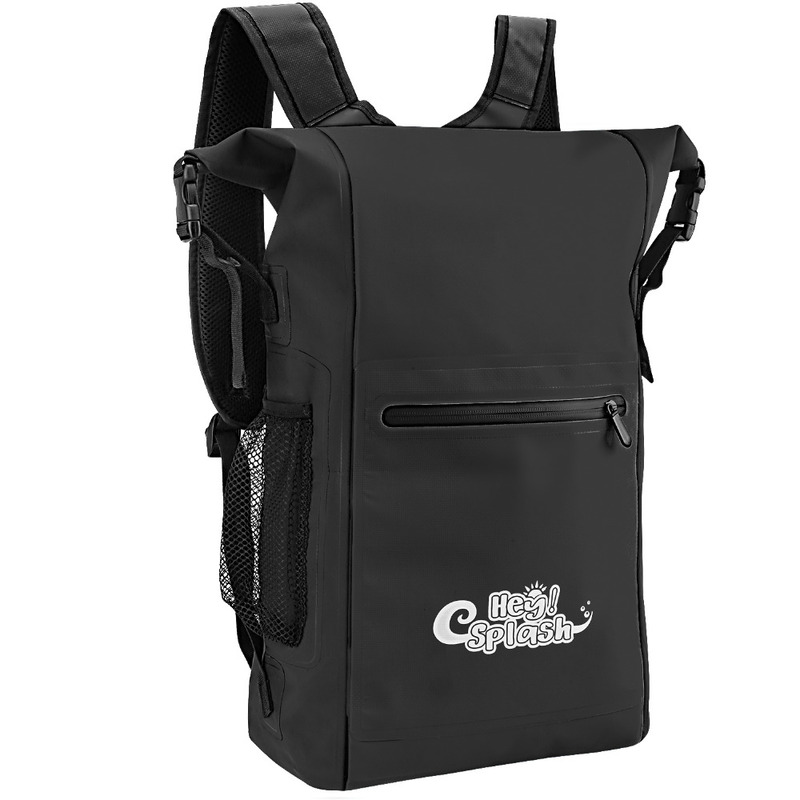 ADJUSTABLE SHOULDER STRAP - Straps can be adjusted according to your own needs – allowing for easy, light, and convenient carrying in the outdoors. 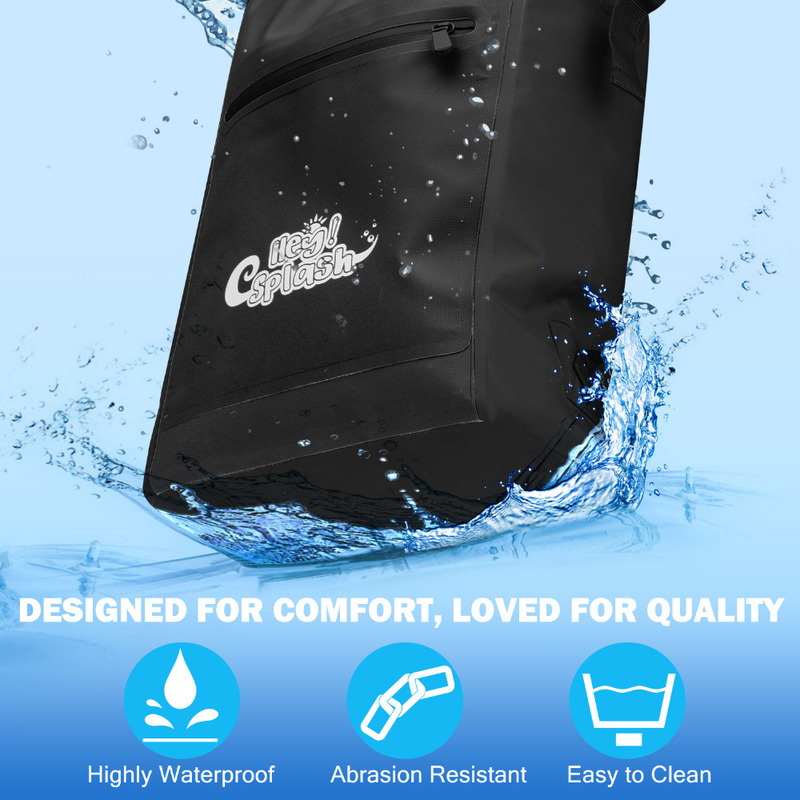 USER-FRIENDLY DESIGN - Mesh bags on both sides and external zippered pocket provide convenience for storing bottles, unbrella and small items. 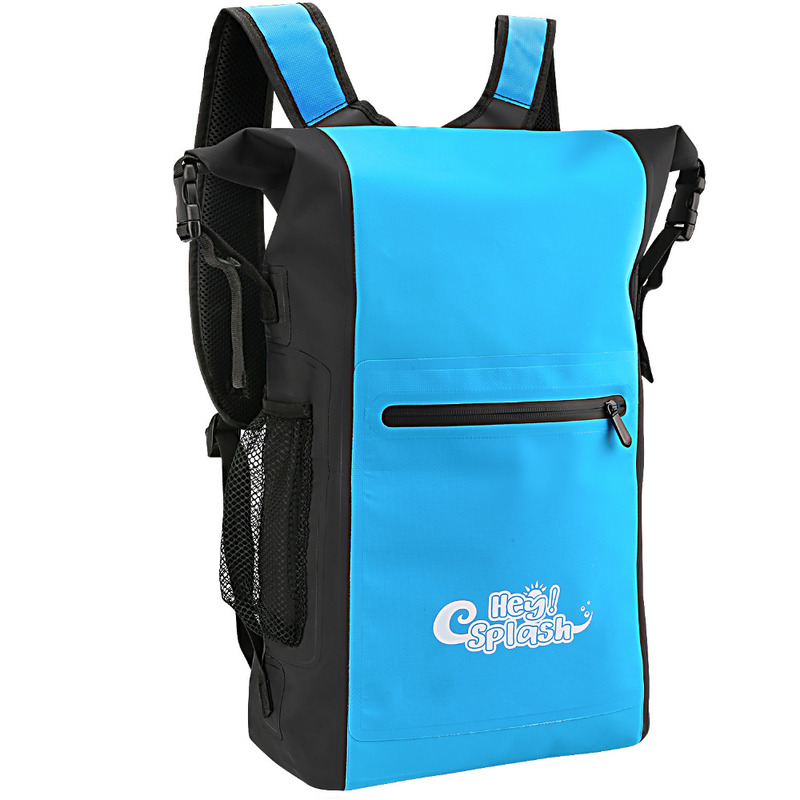 QUALITY ASSURANCE - Well made of 500D PVC mesh fabric in welded seams and high-density shoulder straps. 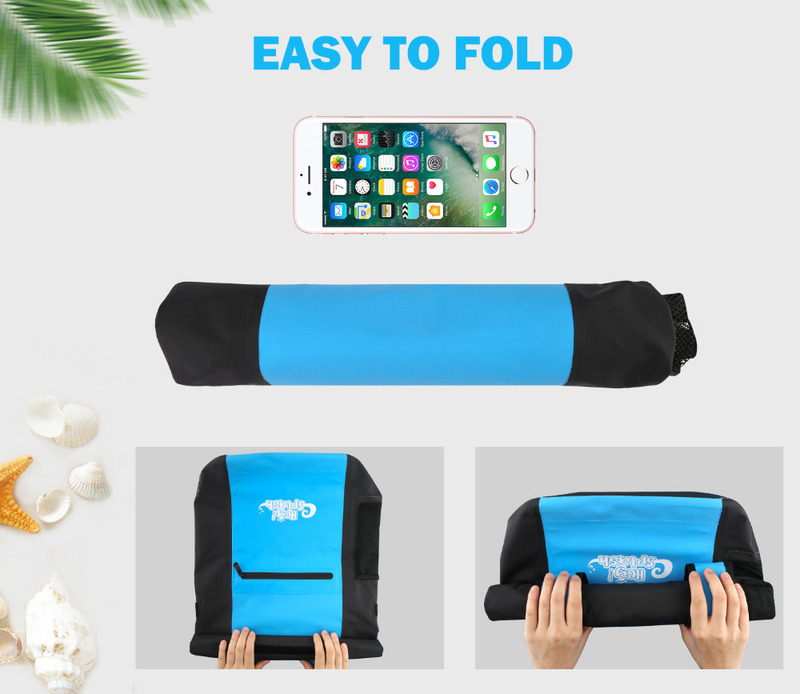 Ultra lightweight to carry and easy to use. 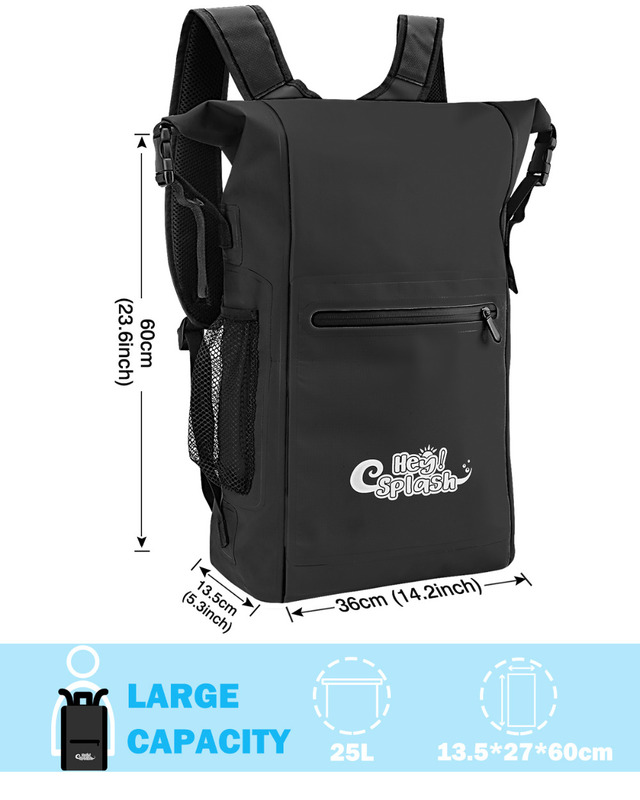 25L capacity is large enough for taking along everything you need for a trip. 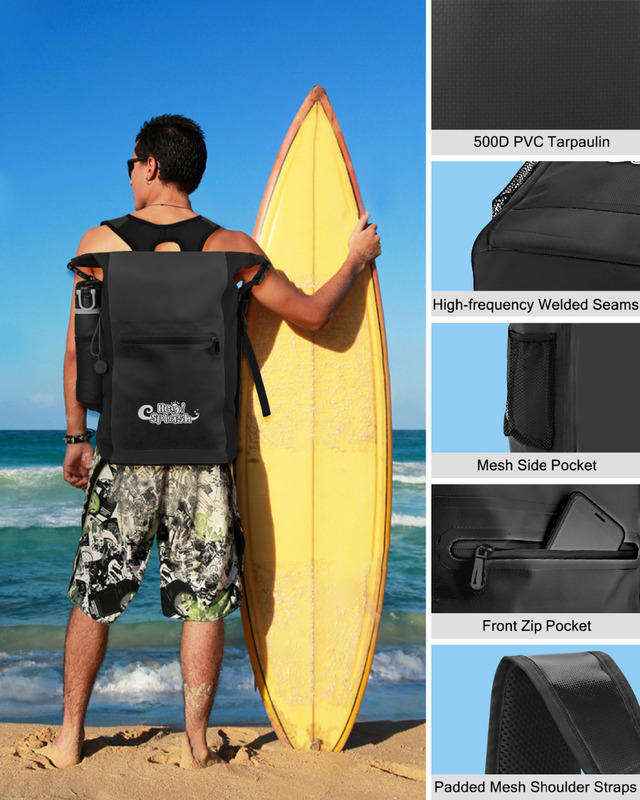 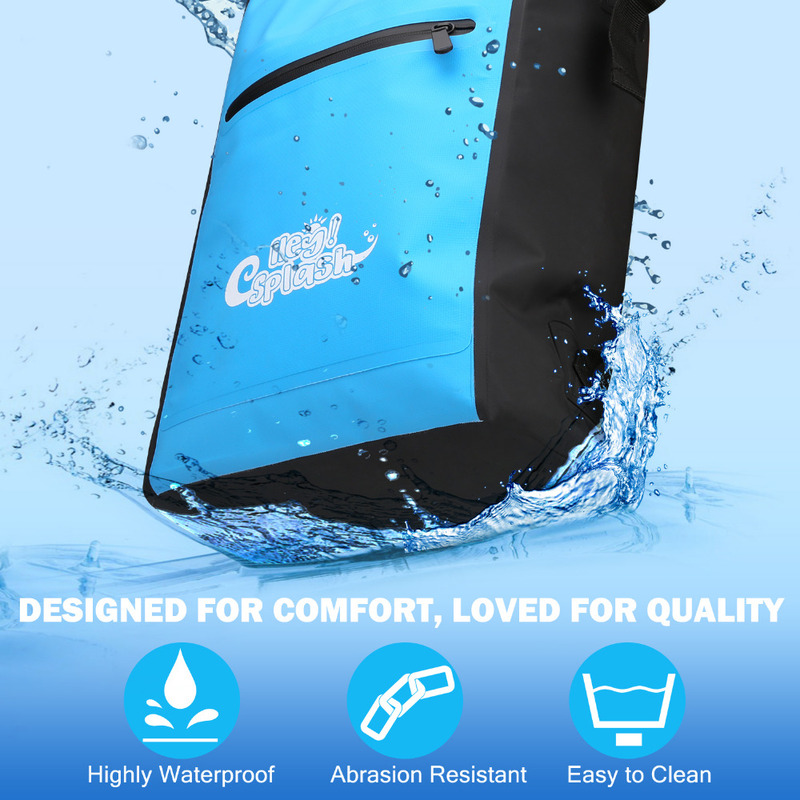 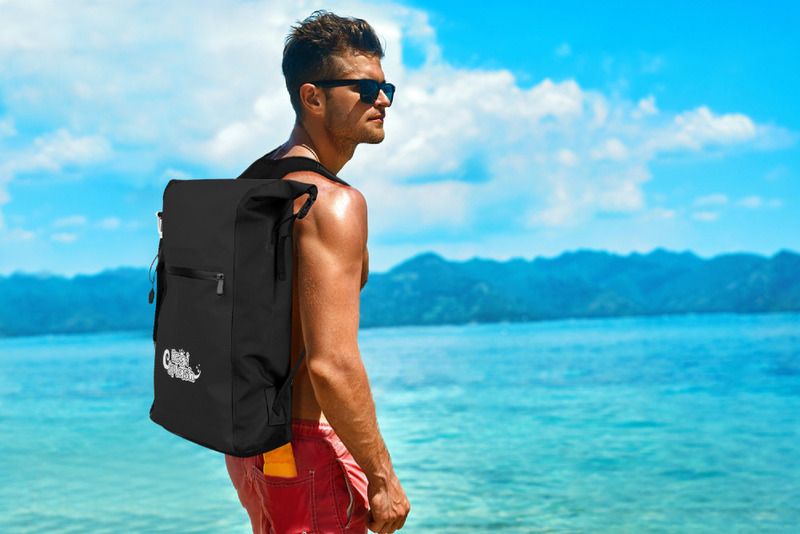 This backpack is suitable for climbing, fishing, sailing, boating, drifting, river trekking, etc. 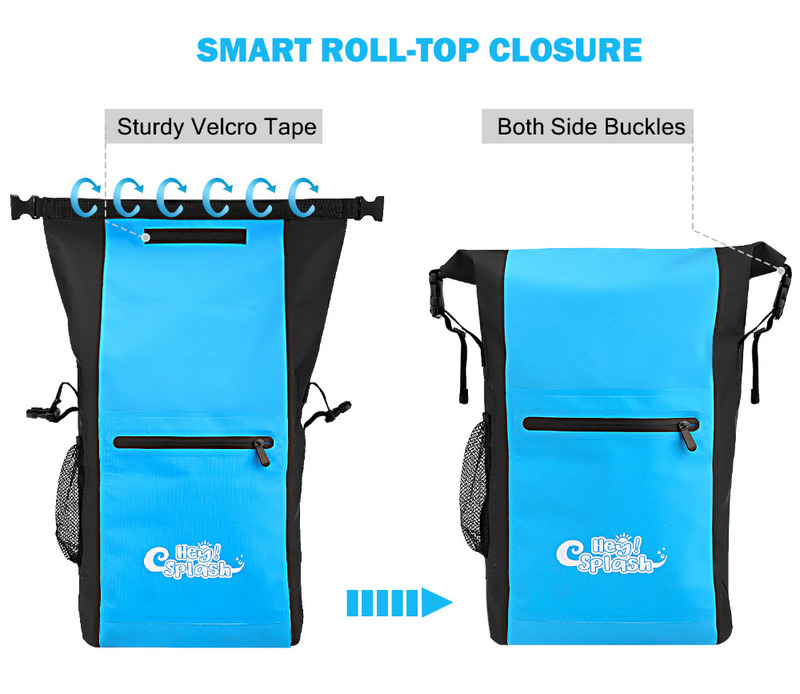 Outer mesh bags and zippered pocket for easy storing umbrella, bottles or small items. 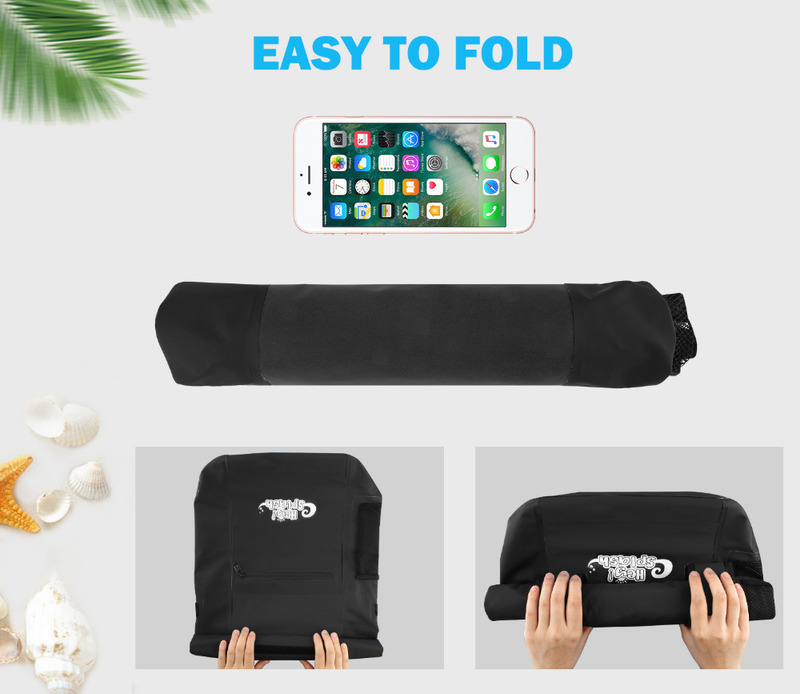 It will float on the water once it is tight and filled with air, even containing many things. 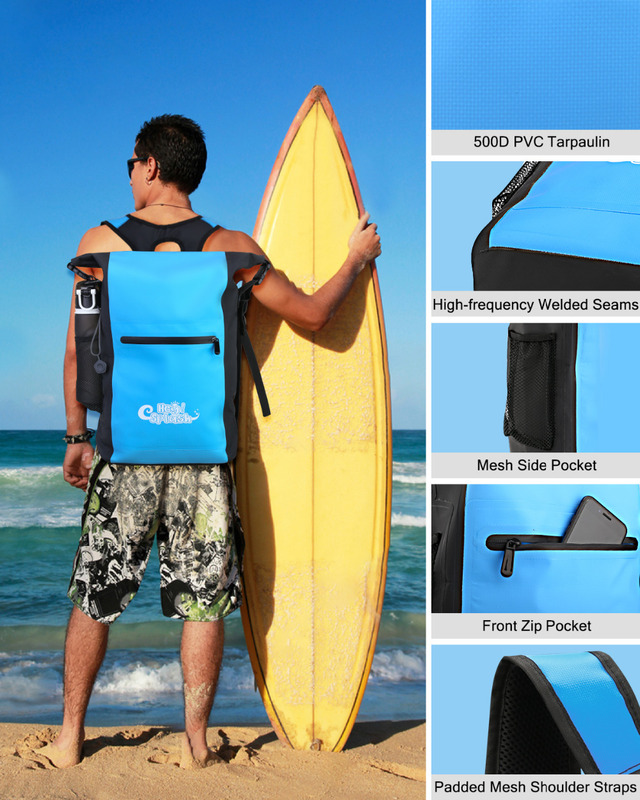 Honeycomb cloth shoulder straps with stuff contributes to great heat dissipation and relieving muscle soreness.